You can call me lucky if you want, I don’t care. I am only out to become wealthy in the next two years. If you choose to sit out this coming rally you will have no one to blame but yourself, but don’t tell your spouse as they will surely disown you, if you miss this opportunity. 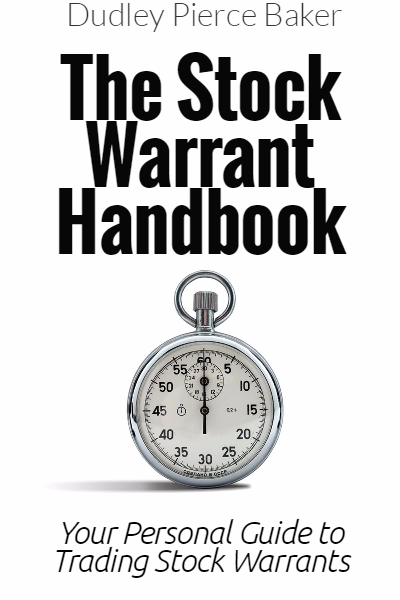 This is Dudley Pierce Baker, the editor of http://JuniorMiningNews.com and http://CommonStockWarrants.com and I believe we are on the verge of a major move up in the resource sector. Timing is everything in the markets and the timing seems to be on our side for resource investors. The next two years are being talked about now by several newsletter writers and even by Jim Cramer (CNBC) as an excellent time to being investing in the precious resource sector. In a few years, some investors will think they are smart as heck when if fact they are just lucky to have been invested in the resource sector at this particular time. So, timing will prove the expression correct, that 'it is better to be lucky than to be smart'. The important take away for you as an investor is that the stage has been set (bottoms are in and bases built) and the next two years may well present investors with an explosive rally in silver, gold, copper and possibly uranium. Simon Constable writing for TheStreet.com, Why It's a Good Time to Invest in Copper has an interview with Jim Cramer on Freeport-McMoRan: Prices Are Exploding. I own a small copper company operating in Nevada currently selling for C$0.11. Over the last decade or so these stares have climbed to C$4.00. Whether the shares can reach C$4.00 again in the next two years, I surely do not know, but, I have a really nice position of hundred ’s of thousands of shares in this company, just in case, I get lucky. Our colleagues at TheTechnicalTraders are looking for the next two years to possibly take silver and gold to new highs but probably at least to the previous highs of $50 and $1900, respectively. You will definitely want to read their latest article and see their charts. I own many silver and gold companies and some even have stock warrants trading which can provide investors an even greater reward over the next two years, if we get lucky. Some warrants I own on one of my favorite gold companies, in my opinion, could ‘easily’ sell for over C$5.00, and they currently sell for a mere C$0.22. I know that sounds crazy but you see I expect to ‘get lucky’ and make a fortune on just this one position. I own a nice position in a silver company which recently completed a private placement in which I participated and greatly increased my position. The shares are currently selling for C$0.13 and, in my opinion, could ‘easily’ sell for well over C$1.00, if I get lucky. Another wealth building opportunity. Frank Holmes, Rick Rule, David Morgan are in the camp of substantially higher prices. If you would like to ‘get lucky’ with me, I encourage you to join me as a subscriber. My Gold and Lifetime Subscribers have access to my personal portfolio and to my weekly audio and you will know exactly my views and current positions. When I ‘get lucky’ this just might be the perfect time to hang it up and move to a sleepy little fishing village in Mexico, but hell I have already done that. So maybe I will need to seek out a new opportunity/adventure. Life is great but it is going to be greater yet, when I (and hopefully you as a subscriber) become wealthy or wealthier in the next few years. JOIN ME NOW, folks, I mean now do not delay this incredible wealth building opportunity.